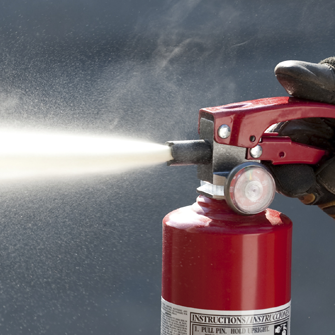 At Intesec we have the expertise and experience to working with businesses throughout Yorkshire and the surrounding areas, helping them to protect their premises from the threat of fire. 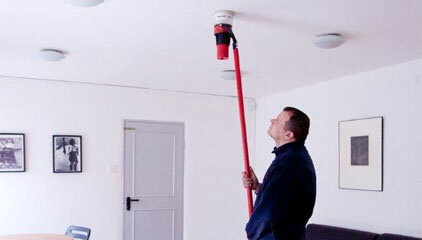 Our large range of fire alarms in Leeds and innovative fire safety equipment provides a comprehensive choice for your company and we will assist you throughout the installation of your fire alarm system, right through to maintenance and servicing. 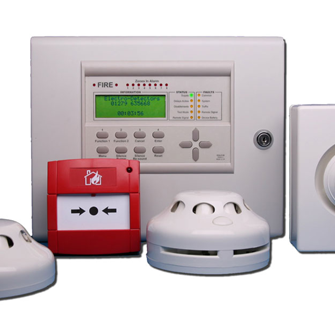 Our bespoke Fire Alarm Installation services are tailor made to suit your requirements and the environment which you would like the fire alarm system to be installed. Intesec Ltd has over 20 years experience in providing fire and security solutions throughout the country to domestic, commercial and industrial premises. We provide a wide range of Fire and Security services to suit all applications and are specialists in design and build services. Our envious client list includes Councils, Health Authorities, Designer Fashion Stores and Blue Chip Companies. Intesec Ltd offer maintenance and monitoring packages on all our services at very competitive rates. This service is available on all new systems and we also cater for the takeover of existing systems. 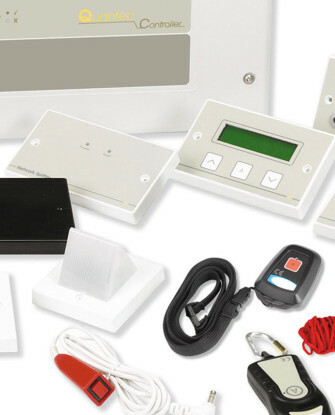 Whatever your Security or Fire needs, from an intruder alarm for your home to a complete integrated fire and security system for a Surgery, Intesec Ltd are here to help. Please feel free to browse our website for further information and do not hesitate to contact us if you have any questions about any aspect of our products, installations or services. Proactive and Protective Alarm Service throughout Yorkshire, Lancashire and Merseyside. Here at Intesec we are specialists in fire alarms, intruder alarms, security systems, CCTV, access control, and security alarms, call us now to arrange your free no obligation quotation. 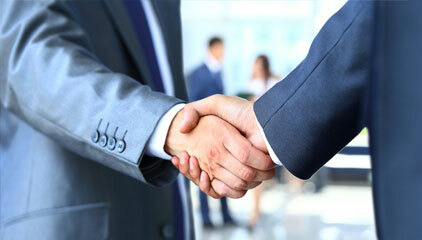 At Intesec Ltd we aim to give great customers service whilst offering that family business approach. We think of you as our lifeline not a number so you can be assured that you will be dealt with the upmost respect as we are grateful for the the business you give us. 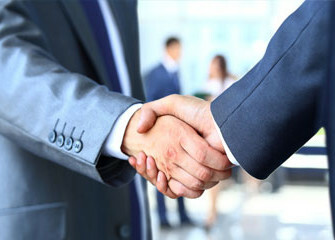 If you feel you are not getting the same from your current supplier we will be morer than happy to welcome you to Intesec Ltd and give you the service you deserve. Are you getting value for your money? Have you moved into a new house or business property with an existing system? Are your requirements no longer being met efficiently? Has your existing supplier gone out of business? Are you wanting a fast engineer response to call outs? At Intesec Ltd we are experts in taking over the maintenance of existing security systems for all domestic, commercial, retail and industrial properties. We have many years’ experience in providing our customers with the very best security solutions, taking the highest standards of care in providing an outstanding customer service. Whether your Fire and security system was installed by another company, is an old system or even has a present fault on it, we are able to provide you with a free no obligation quotation to take over your entire fire and security system, including Alarm Monitoring. 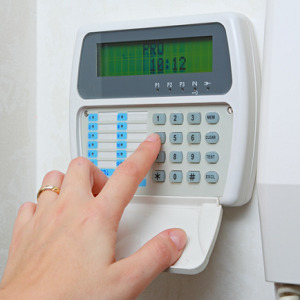 It is vital that any Fire and Security System is kept in good working order. A regular visit from one of our qualified and experienced engineers will ensure that all systems remain effective, preventing any potential faults from occurring. If you have an existing Fire or Security System that requires a takeover for maintenance and monitoring, then please do not hesitate to contact us on our freephone 0800 999 4498 so we can help you select the best solution to secure your home or your business. Always There! 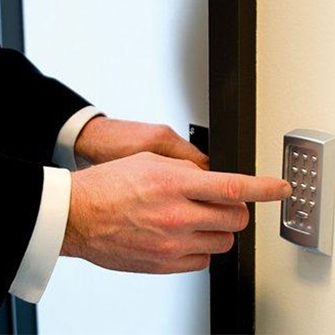 Intesec Ltd offer UK wide and international fire and security maintenance services. Our maintenance engineering team can be onsite quickly to deal with any issues you may have. 365/24/7 Maintenance and Fast Response With Intesec Ltd all your concerns or issues will be dealt with as we provide a 24 hour callout facility with all service contracts. Our professional maintenance team are just a phone call away and can be onsite for any callout within just four hours of receiving notification and a large percentage are dealt with over the phone at no additional cost. “13,500 non-fatal casualties a year are caused by fire“ Approved Engineering Expertise All our engineers have a high level of customer liaison skills which means you will receive exceptional customer service. Our engineers are trained to the relevant technical codes of practice and in health, safety and care standard so you can be confident that the work will be completed in an efficient and professional manner. Intesec Ltd – here to serve you With our skill, experience and technology to meet your needs, we want you to know that we are always here to help whatever your systems or service needs may be, we pride ourselves on delivering a bespoke service to tailor your needs. We have proven network of engineers based nationwide to deliver fire safety and security services which are backed up from our service desk, a team of service and corrective works co-ordinators, field line managers all managed by our service manager help deliver this work the way you want it. “Fire costs British businesses £7.7 billion every year” Through our bespoke vehicle tracking system we can identify which engineer is closest to you and can keep you informed, this system also helps us be more efficient which keeps our costs down and ultimately benefits you. All our engineers will call you to let you know they are on their way and the estimated time of arrival. Experience, honesty and understanding of your needs We have a long established and trusted relationship with our clients in delivering fire safety and security services and have always been transparent in our information, the good and bad is delivered and discussed with all our clients at least annually where we use our Maintenance Performance Review to show our performance. Although our engineers and staff are highly experienced and regularly trained from a technical point, the advantage to our customers is that we understand the challenges of working in different environments, whether it be manufacturing, high security, buildings where people have learning difficulties, or other unique environments, our staff know that entering and working in these sites can be totally unique and they are under a duty of care and obligation to adapt their selves to this. Save time, money and the planet – reducing your carbon footprint By being with Intesec Ltd you can reduce your carbon footprint as we use new enviromently friendly low emission and fuel efficient diesel vans and our multi-skilled engineers only have to make one visit to cover your fire alarm, fire suppression system, intruder alarm system, CCTV system, fire extinguishers, emergency lighting and much more. Real after sales service with total transparency Your Account Manager is always dedicated to you from the moment you join us and can be contacted directly by phone on their personal mobile or email. We also issue all our managers mobile phone numbers and emails as well as our Managing Director, this is to prove to you that we won’t hide behind a main phone number and that if you don’t get what you need you have a way of escalating this, even if that means all the way to the top. 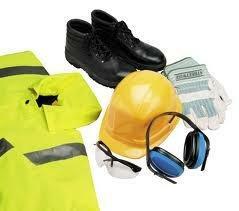 Special contracted rates & response times Once you join us all call outs include travel time to site. Any call requiring immediate attention or a response within 48 hours will be considered as an emergency call out. This information is independently checked and verified by our accreditation bodies and inspectorates The NSI (National Security Inspectorate) who ensure we are working to all British Standards. “Trust Intesec Ltd to give you the Customer Service you can always rely on“ Benefits of partnering with Intesec Ltd 365/24/7 – always there for you – meaning you will never be left waiting for help Nationwide service by local engineers – get a consistent and professional service where ever you are One engineer one visit – multi-skilled engineers know all your systems and your site saving you time and money in dealing with several companies and people and saving the planet Personal service from people you know and trust – being a transparent organisation we provide full contact details of all our staff from the engineer and his manager to the Managing Directors phone number and email address. Monthly audits of our engineers, staff and work – from mystery shoppers, customer questionnaires to technical audits of our work, you can be Assured we check, check and double check out service delivery to ensure you get a consistent and improved service. First time fix – keeping your systems working at an optimum – our engineers are targeted and monitored on their ability to fix a fault on the first visit, this ensures you get your problem fixed quickly and economically. Free fire safety and security audits – we will evaluate your organisations risk against fire and crime and provide you with a full report on where you are at risk or lack compliance Fast efficient service – ensuring you are compliant and save money – if you need a repair or corrective work and upgrade our engineers can quote and fit while on site saving a return visit or if the quote is more complex we will have a quote with you the next day and follow this up within a week. Keeping you keep your self compliant – weekly updates on fire safety & security legislation and news with our email subscription service. Keeping you informed – Top tips on what you can do to make your organisation safer and secure. Annual health check – improving our service to you – we visit your premises or call you at least annually to check you are happy with our service and find out ways we can improve our service to you and save you more time and money Remote service of your system – saving you time and money by remotely accessing your systems and resetting, interrogating or programming your system without the need for an engineer to visit your premises. 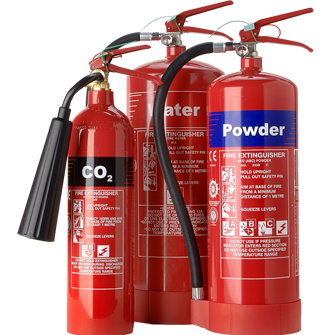 Independent approval of our services – by using a NSI & CHAS approved company you can be assured you are using a quality company that comply with all fire safety, security and health and safety requirements. The Customer is everything – An independent company with great customer service at the core of its values – ensuring you will never need consider an alternative supplier. At Intesec Ltd we specialise in the design, installation and maintenance of all types of emergency lighting systems from simple self-contained units to large central battery systems. Our qualified and experienced design team are able to advise you on the types of systems available for your property and business type in accordance with current legislative and British Standard requirements. LED Emergency Lighting Systems With the advancement of LED lighting technology Intesec Ltd is able to offer an alternative means of illumination to that of traditional fluorescent and incandescent lamped fittings. LED emergency lighting systems provide a distinct advantage over traditional systems as the LED’s have a life expectancy of 50,000hrs whereas traditional fittings require lamp changes at 5-6,000 hours, this significantly reduces ongoing maintenance and lamp replacement costs. The main benefits of installing LED emergency lights are: Reduced ongoing maintenance costs. Long life. Energy and carbon efficient with power savings of up to 30%. Modern and contemporary designs available. Requirements An emergency lighting system is required to operate in an emergency situation when the mains powered illumination fails through a fault or power failure. As the failure of the mains powered lighting system could be a result of a fire or a power cut the sudden darkness could lead to confusion and risk with the occupants of the building. 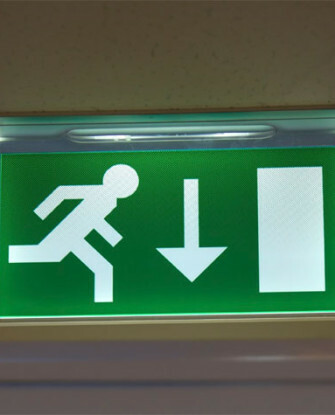 The main reason for installing an emergency lighting system is to enable the safe evacuation of the people within the building in accordance with fire safety legislation procedures. Emergency lighting systems are designed, installed and maintained in compliance with the recommendations of British Standard 5266 Part 1 2011 and Part 8 2004 which clearly defines the types of premises that require such systems and the level of illumination required for a safe evacuation. Responsibilities If the emergency lighting system forms part of the fire safety arrangement within a building then it is subject to the requirements of the Regulatory Reform (Fire Safety) Order 2005 and the required risk assessment. 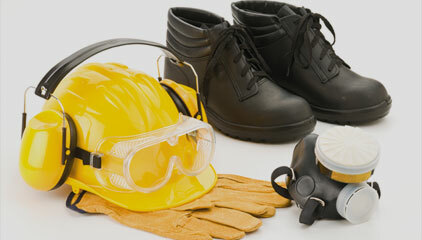 Please refer to our page Fire Risk and Fire Safety Management which covers responsibilities. Maintenance It is vital that the emergency lighting system illuminates when the normal lighting system fails. Intesec Ltd offer a variety of maintenance packages to suit your personal requirements in accordance with the recommendations of British Standard 5266 Part 8 2004. The following brief summary of test sequences for self-contained emergency lighting systems is recommended. Daily: Visually check that all maintained lamps are operating and that all mains power indicators are illuminated. Monthly: Complete the daily checks and test all emergency lights briefly to ensure they illuminate when mains power is removed. Upon restoring the mains power check that all mains healthy indicators are operating. Record the test results in the emergency lighting log book and ensure that all previously recorded and new faults are rectified. Annually: Complete all monthly tests but ensure that the fittings are illuminated for their full duration. 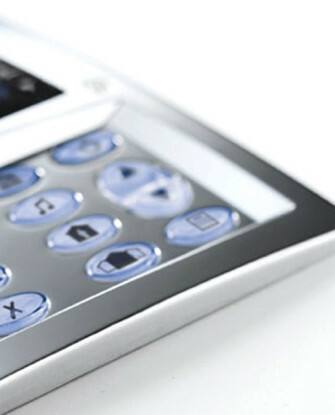 Intesec LTD are suppliers and installers of market leading warden call and nurse call systems. Our systems are all carefully designed and installed to ensure our customer’s varying requirements are met. Warden call systems are primarily designed to help disabled or elderly people at risk of falling allowing them to live independently in their own home, safe in the knowledge that help is never far away should they need it. Reassurance is provided by means of two-way speech between the dwelling and the appointed contacts. Systems can also signal environmental changes in the home such as floods, fire and gas leaks. In addition, carers of people with dementia may be alerted if the person leaves the house or other defined areas. A warden call system can be extended to include additional features including monitoring of blood pressure, medication dispensing and bogus caller button. Whether it is a warden call system for a sheltered housing complex or a nurse call system for a major hospital, Intesec LTD can design the system to meet our clients’ specific needs. Theft and criminal damage by intruders mean a constant threat and ever increasing costs to businesses. Whether you need external intruder detection, building security, or to safeguard key internal areas we have the answers you need. Intesec Ltd will assess the particular risks your premises and operations present, and build an alarm monitoring and security solution around them combining proven techniques with leading edge technology. Our approach to security alarm systems ensures that your system solution is user-friendly, simple, trouble free and effective at protecting your business, employees, visitors, information and assets. 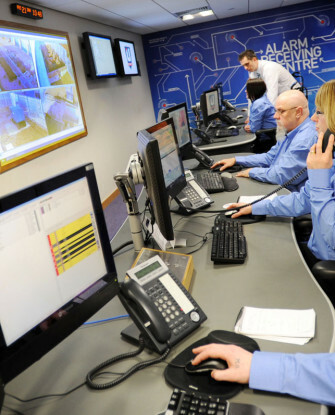 We provide state of art security systems offering maintenance and monitoring and police response through the red care or dual com signalling networks. We are approved by the NSI (Nation Security Inspectorate) which is the highest accolade bestowed on security company. 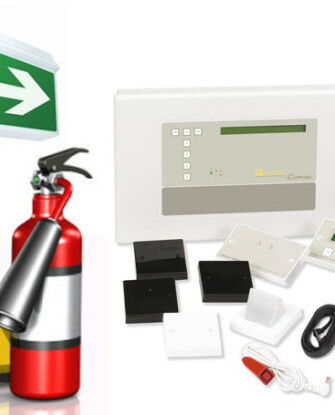 Building safety is paramount in today's working environment and with legislation placing ownership on building managers and owners to provide a compliant fire safety systems, we at Intesec Ltd can help. We can design, install and maintain fire alarm systems to BS 5839. We will discuss your requirements with you and put together a compliant and cost effective system for your premises giving you total piece of mind. Do you have another company looking afteryour system but not providing a good service? If the answer is yes we can help. We provide a 24 hour callout service and can work on many different makes of Fire alarm system. Have you just taken over a building and you have be left with a fault? Intesec can provide a one off callout to repair or replace any parts you have problems with. Fire Risk Assessments Intesec Ltd are qualified Fire Risk Assessors and can help you with you legal obligations to provide you with a professional Fire Risk Assessment for your premises. Theft and criminal damage by intruders mean a constant threat and ever increasing costs to businesses. Whether you need external intruder detection, building security, or to safeguard key internal areas we have the answers you need. Intesec Ltd will assess the particular risks your premises and operations present, and build an alarm monitoring and security solution around them combining proven techniques with leading edge technology. Our approach to security alarm systems ensures that your system solution is user-friendly, simple, trouble free and effective at protecting your business, employees, visitors, information and assets. I have personally used Intesec Ltd services for many years and their courteous response to our needs have been most welcome. Nothing is too much trouble and hopefully we will continue to use their services for many years to come.